In what is probably the last podcast of 2016, Stephen and Amelia discuss wedding ring plans. Guess whose ring was easier to figure out? Check back Sundays (In 2017!) 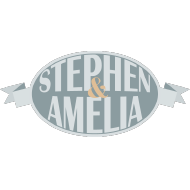 for more episodes of ‘A Wedding Podcast’ with Stephen and Amelia.